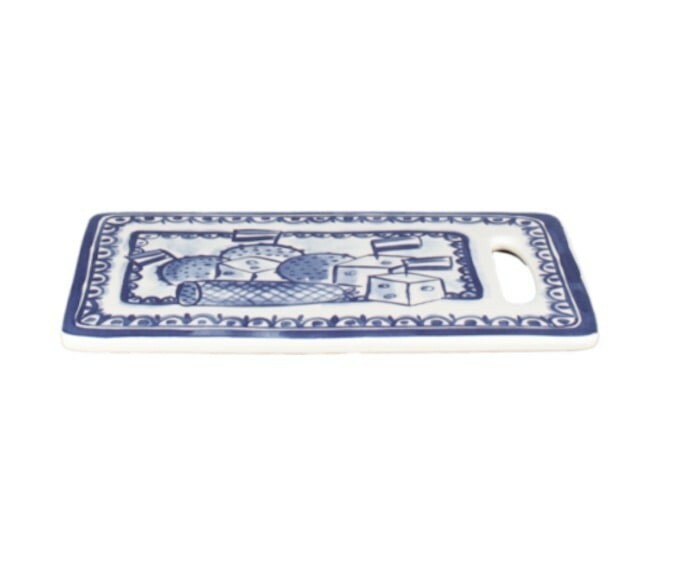 This unique Delft Blond cheese platter is made of pottery and decorated in the distinctive style of Blond Amsterdam. Very suitable to present Dutch or international cheeses. The generous dimensions make this cheese platter als suitable as serving dish. 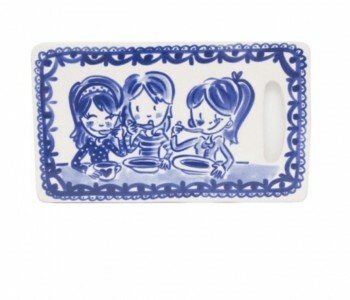 This playful cheese platter from the Delfts Blond series by Blond Amsterdam is made of pottery. The cheese platter 24,5 cm wide and is 15 cm deep. The cheese platter is painted in blue and white with a scene of women eating. 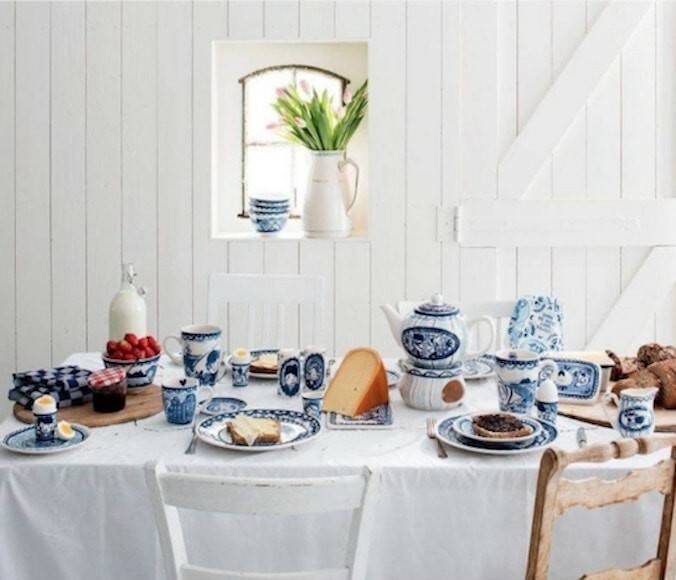 This cheese platter from the Delft Blond series can be easily combined with mugs, cup and saucer, teapot, sugar pot and milk jar in the Blond Amsterdam series to complete your tableware set.